Nicoderm CQ Step 1 clear patches have become a popular choice for people wanting to try a Nicotine Replacement Therapy (NRT) to quit smoking. 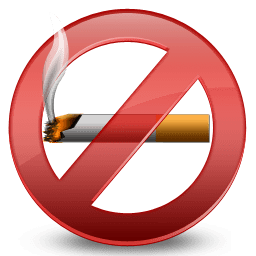 The 21mg version is for people who are currently smoking more than 10 cigarettes a day, so if you smoke less than that, starting with Step 2 is recommended. Whatever stage of the program you use to start, Nicoderm provides some other benefits, such as a personalized online plan to help you quit. Using the patch is easy and comes with very few side effects. Just stick one on and it will help you curb your cravings for nicotine. You decide how long to wear it and where you put it. It is often recommended that you remove it before going to bed, but that, too is up to you. Vivid dreams have been reported when users wear them when sleeping. Other than that, some skin irritation from the adhesive and an elevated heart rate immediately after putting one on have also been reported, but rarely has anything more serious occurred. The recurring theme with almost any method used to quit smoking is that you must want to quit. Making a “quit attempt” before you are ready will likely lead to frustration and failure. This is true with the Nicoderm CQ Clear Patches as well. However, many people report that this was the method that made it possible for them to quit for good. 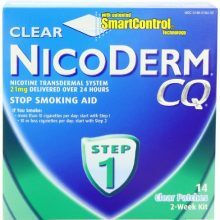 Nicoderm CQ Clear Patches seem to have a solid reputation as a helpful tool for those who are trying to quit smoking. As a company in general, Nicoderm seems to have a good handle on what it’s like to go through the quitting progression. This is incredibly important for someone who needs all the support they can to get through the difficult process. It really seems like they are there for you and want you to achieve your goal of a smoke-free life. As with any method used to quit, having a solid plan will benefit you in the long run, but as has been said, many people swear by Nicoderm CQ Step 1 clear patches to get started on the road to being free from addiction and free from tobacco. While it isn’t an easy road, they claim to make it easier, and quite a few people who no longer smoke agree with them.